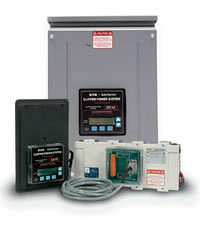 Powerware offers a Surge Protection product line. Customers require solutions to ensure that their investment in equipment and processes are protected from the damaging effects of voltage transient and electrical noise. Surge protection devices are needed to protect sensitive telecommunications, HVAC, and other electrical and electronic equipment. Gruber Power offers global service and all Powerware products. Click here to see our refurbishing center and depot repair facility.